IT Learning Solution is the training provider of choice when it comes to virtualized data center solutions. 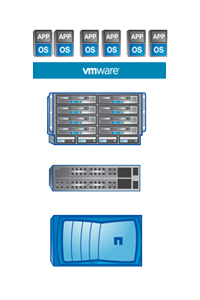 As an authorized training partner of Cisco, NetApp, and VMware, we get you ready to rise to the challenges of planning and making the most of future-focused data center solutions. We are uniquely positioned to help you gain the cross‐vendor knowledge and skills you desire. We’ve combined the best sales and technical information from these three leading companies and added the key information developed by our outstanding team of Certified Instructors from around the globe to create a powerful curriculum to help you sell, prepare for and deploy the most important Data Center technologies. 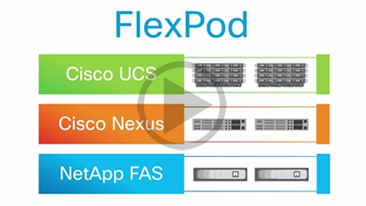 The FlexPod solution portfolio combines NetApp storage systems, Cisco Unified Computing System servers, and Cisco Nexus fabric into a single, flexible architecture. FlexPod solutions are validated and tested to reduce risk and increase IT efficiency. Our experts will demonstrate how to use the FlexPod solution in your company in our different FlexPod courses.